Marvel's Runaways Season 1 ended with a bang. Or, more accurately, a battle of light and a shocking police cliffhanger. Throughout its 10-episode run, we followed along as these former friends delved deeper into the mystery of their evil parents, and the teens they kidnapped. Magical abilities, secret relationships, and strong character development kept us hooked from beginning to end. With the Runaways' next adventure set to return this December 2018, now is the perfect time to catch-up and join along this superhero journey. Below, we've picked out 11 awesome reasons why you need to binge Marvel's Runaways. Like, right now! All episodes are currently available on Hulu. Runaways Season 2 will premiere Friday, December 21 on Hulu. 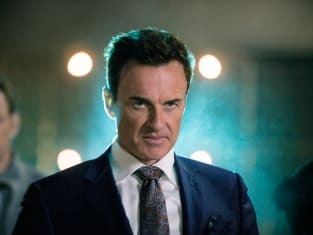 In an ensemble show like Marvel's Runaways, the chemistry of the main group can make or break the flow. Thankfully, there's nothing to fear here! All members of the group work well together and they embody the essence of their characters. Plus, they each find a way to stand out in such a large ensemble cast. The characters themselves are more than just a one-word description. You can't box them into tags like jock, brain, goth, girl-next-door, activist or preacher's daughter since they expand outside of the archetypes you'd expect for them. These are developed characters with complex personalities ... and that's why we love them! 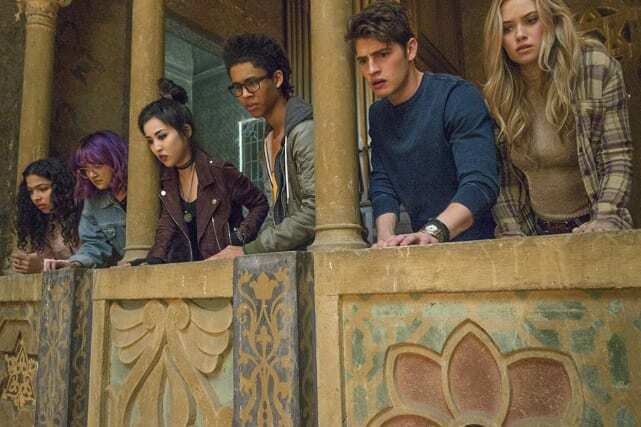 Similar to teams like Marvel's The Avengers or the X-Men, Marvel's Runaways have their own unique set of strengths too. But, what sets these teens apart from the other superheroes in the Marvel TV universe is that their abilities aren't limited to superpowers. 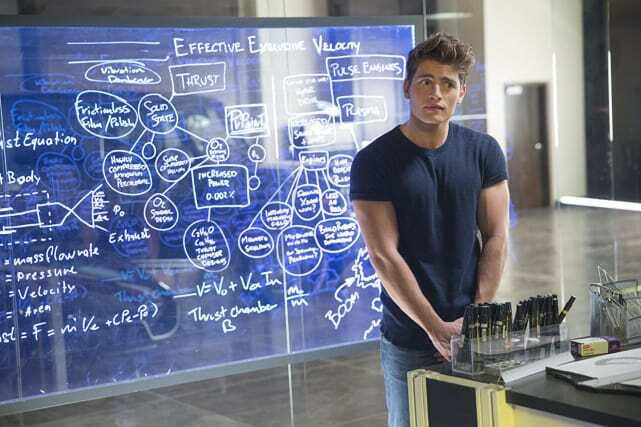 Each teen brings something to the table, like intelligence, magic or mutant abilities. This balances each member to make them essential for the mission. The teens aren't the only main characters; their parents are vital to the story too! We learn a lot about the adults, like their secrets, relationships, and how they're involved in the overall mystery. As the story develops, our connection to them deepens and we get a closer look into their villainous goals. You couldn't have Marvel's Runaways without them. Another reason to binge Marvel's Runaways is its central mystery. The plot of the missing children and the parents' evil group finds its strength with multiple levels of mysteries and intrigue. By getting to see both sides of the story (the teens vs. the parents), the development keeps you questioning the true motives of the characters and the actual truth. Nico stands out as one of the best characters in the group. She's witty, sarcastic, and she likes to speak her mind about the craziness of the situation. Her magical abilities stand up against any enemy the group might face. And, her interesting solo story is one that is sure to have you eagerly start putting all the pieces together. 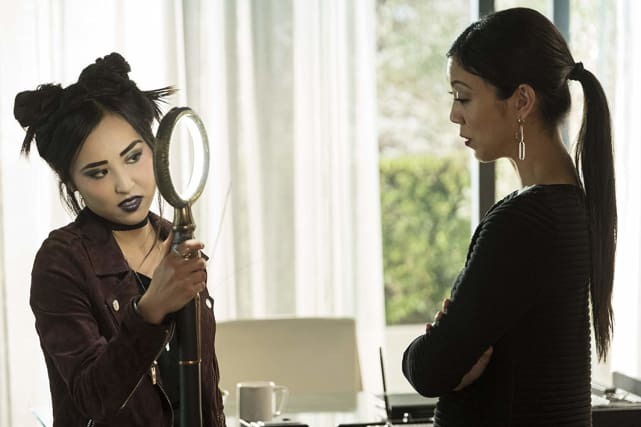 Marvel's Runaways Season 1 Episode 10: "Hostile", Marvel's Runaways Season 1 Episode 9: "Doomsday", Marvel's Runaways Season 1 Episode 8: "Tsunami", Marvel's Runaways Season 1 Episode 7: "Refraction", Marvel's Runaways Season 1 Episode 6: "Metamorphasis", Marvel's Runaways Season 1 Episode 5: "Kingdom", Marvel's Runaways Season 1 Episode 4: "Fifteen", Marvel's Runaways Season 1 Episode 3: "Destiny", Marvel's Runaways Season 1 Episode 2: "Rewind", Marvel's Runaways Season 1 Episode 1: "Reunion"